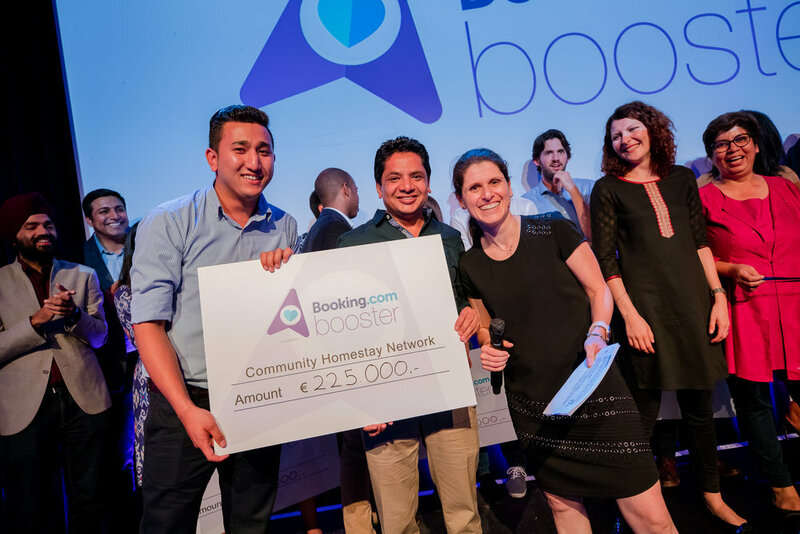 The Community Homestay Network (CHN), a renowned company operating in line with the spirit of Sustainable and Responsible tourism in Nepal , has been selected by Booking.com – as among top 10 world startups in sustainable tourism for 2018, and has been awarded with the grant of € 225,000 from Booking Booster Program. 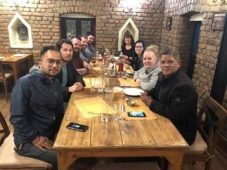 Community Homestay Network (CHN), is a network of Community Homestays in Nepal, which connects global travelers with the real faces of Nepal to facilitate authentic Nepalese experience about Nepalese Culture and Traditions while benefiting to the Local communities all over Nepal. CHN is also supporting women empowerment in 13 communities of Nepal. The Booking Booster Program is Booking.com, world’s largest e-commerce company’s three-week accelerator and mentor-ship program for scale-ups, culminating an opportunity to pitch for grants of up to € 500, 000, where Booking.com offered up to € 2 million fund for scale-ups that help to relieve pressure on overcrowded tourist areas, businesses that positively impact the environment and social ventures that are supporting local communities in the tourism industry. Mr. Shiva Prasad Dhakal, the founder of CHN participated in Booking Booster Program held in Amsterdam for about three weeks from May 15-31, 2018 and has been rewarded with the grant of € 225000. CHN will receive 12 months of ongoing mentoring and coaching from a strategic mix of Booking.com experts representing all parts of the business, as well as opportunities and access to collaborate with Booking.com on potential innovative initiatives and experiments to help and accelerate the future growth of the organization. In addition, Amazon Web Services (AWS) will provide CHN with the resources they need to quickly get started on AWS – including credits, training, and support to bring CHN’s ideas to life.